Seth Lakeman has to be one of the best known performers in Folk music these days. "Ballads of the broken few" is his eighth solo album (but there are plenty more albums from other projects he's been in). For this album he's brought in vocal trio Wildwood Kin, three young female singers who add their vocals to really enhance the songs. While technically they contribute backing vocals, their contribution deserves more recognition than that as their vocal harmonies really add so much to this album. The album features seven new songs along with a cover version (Anna Lee) and several traditional songs folowing a visit to the Cecil Sharp House archive that featured in the "Full English" project. Opening track "Willow tree" gets the album off to a great start. Seth Lakeman's vocals with the lovely backing vocals from Wildwood kin work really well with the fiddle. "Silence reigns" is a fantastic track - a simple arrangement means Seth Lakeman's vocals really take centre stage and it works beautifully. In contrast, "Ballad of the broken few" while being equally impressive, is a much busier track and is one where the vocals of Wildwood kin really add to the song. 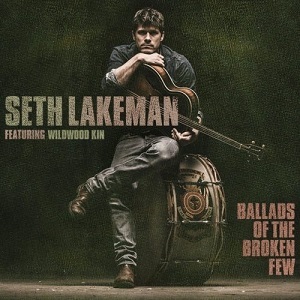 It's a great album, but then you wouldn't expect anything less from Seth Lakeman. He's never afraid to try new things, and this collaboration with Wildwood kin is something that really paid off. Highly recommended.